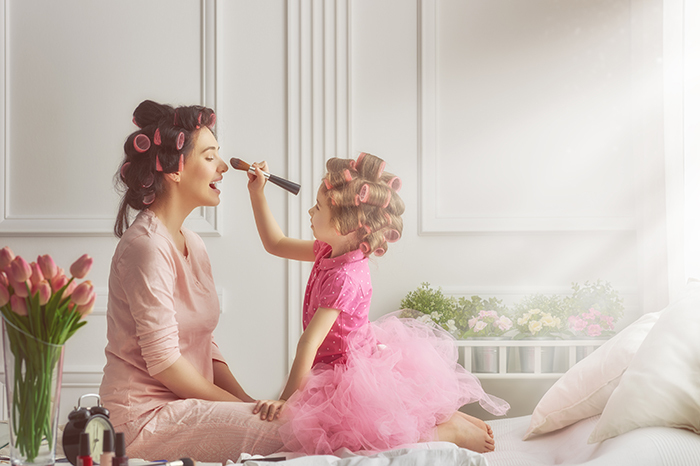 KidStart Magazine > Saving Tips > Household savings > What’s Your Bargain Beauty Secret? Back before I had kids I was a beauty writer and beauty addict. I couldn’t get within two metres of a beauty hall without buying something ridiculously expensive. In fact I once bought a pot of Creme De La Mer cream for £125 – without thinking twice (yes, I was that stupid). Of course post kids it’s a different story all together. Aside from being broke I wouldn’t dare to walk into a beauty hall and spend over £25 on anything. In a way it’s been good for both my bank account and my beauty routine because my skin doesn’t really look that different using bargain beauty products over luxury beauty items. So I’m loving it that so many celebs are also coming out and announcing that their beauty must-haves are actually bargain products that they can’t live without. For Cheryl Cole it’s E45 cream, for Kylie it’s Pond’s Cold Cream, and now Jennifer Aniston says she can’t live without her Neutrogena cleansing facial bar. If you haven’t heard of any of these, they are fantastically cheap and available in any supermarket or pharmacy. My own beauty bargain favourite is Waitrose’s Baby Bottom cream. Much loved on many of the mum forums it really does work as a moisturizer especially if you have dry sensitive skin like mine. I’m also a huge fan of Vaseline and Carmex both as lip balm and lip-gloss and for dry elbows and knees and hair that won’t behave. Plus I also love Johnston’s baby lotion as a make up remover as a post bath skin softener. Again all of the above come in at under £5! As you can see most of my beauty favourites are actually stolen from my kids’ bathroom shelves but I figure if it’s good for them, then it’s got to be good for me. So my last tip is my Sudocrem. Yes, the thick white the nappy rash cream. I’ve discovered (probably after everyone else) that it’s excellent for grazes, and brilliant for PMS spots. Really – it works wonders if you slap it on a spot overnight. But how about you? Has anyone else got any bargain beauty products they’d like to share? Let me know.